Ever Get Mad at a Customer? Time for a Chatbot! 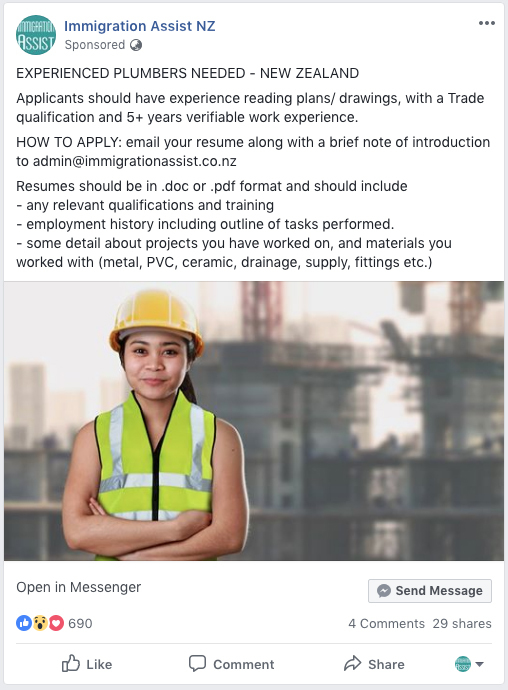 There was a company admin who ran a Facebook Ads campaign, seeking resumés in the construction industry abroad through Messenger. It’s hardly surprising that the lead went away. Did the admin guy regret it? Frighteningly, no. In his mind, even if he had copy-pasted a standardised reply into Messenger and engaged the fool, he was convinced it would have soaked up time and effort with no assurance that the candidate was even qualified for the job. The problem was – using caps lock key had guaranteed the lead would never become a client. Here is where a chatbot would have made all the difference. As automated Messenger conversations, Chatbots love this kind of situation. 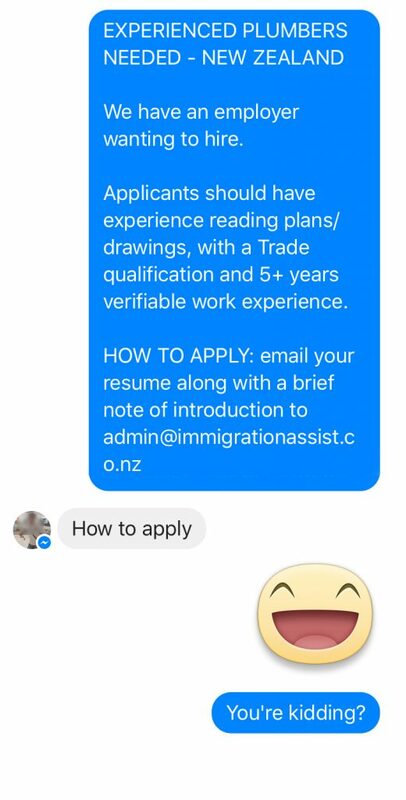 Through a combination of scripted responses and action buttons, a chatbot built in Manychat or Chatfuel could have gently led this candidate through a flow that told him all about the job, about the requirements, about New Zealand, and much more – and naturally, let him know How To Apply. If the lead wasn’t interested, the bot still could have kept him as a subscriber for future jobs. Cued by the keyword, the chatbot would take over and open a Messenger conversation – and all the information is literally at the candidate’s fingertips via his mobile. The bot could also gather the applicant’s occupation, name, email address, location and phone number and add it to a database. To deal with these sorts of enquiries one by one, and to answer the same questions over and over, isn’t just frustrating. It takes time. Not only composing and personalising each response, but waiting for the user at the other end to reply. Multiply that by the dozens of candidates who might respond to an ad, and it becomes an impractical task. Precious hours spent dealing with tyre-kickers could mean the genuine leads get sick of waiting and leave the conversation. Best of all, with a provider like Conversologie, a chatbot will be up and running, and even optimised month by month, for just a few dollars a day. Compare that with the expense of paying somebody by the hour to handle unqualified enquiries (only during working hours, of course.) Compare it with the unseen messages after hours or overnight. Compare it with the opportunity cost of your own lost time. To learn more about how a chatbot will benefit your business, check out our options.